6 hotels with a sea view are waiting for you in Arromanches-les-Bains. Arromanches is worldwide famous as a place of battle during the Allied landing in June 1944, with its artificial harbor which you can still see the remains. A museum reminds the event. 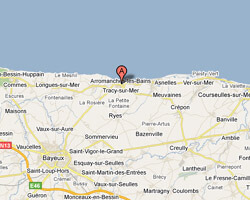 Arromanches is also a charming seaside resort set in a beautiful landscape of cliffs. At the seaside you can find a sandy beach and a seafront promenade lined with old houses. 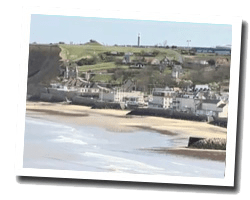 In Arromanches enjoy the pleasure of a sea view hotel.